Wee Book House & CatStrand present the first of a series of events in Cross Michael. A bar will be provided at the hall - proceeds going towards the Crossmichael Gala. Grammy award winning 'Mando monster' John Reischman is one of the premier mandolinists of his generation. 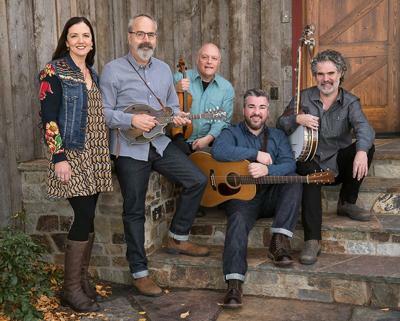 He’s a master instrumentalist capable of swinging between re-inventions of traditional old-time tunes, deconstructions from the bluegrass repertoire, and compelling original tunes, many of which have become standards. He’s also a powerful bandleader, touring his band the Jaybirds all over Canada and the United States. Guest fiddler Annie Staninec joins the four piece band.